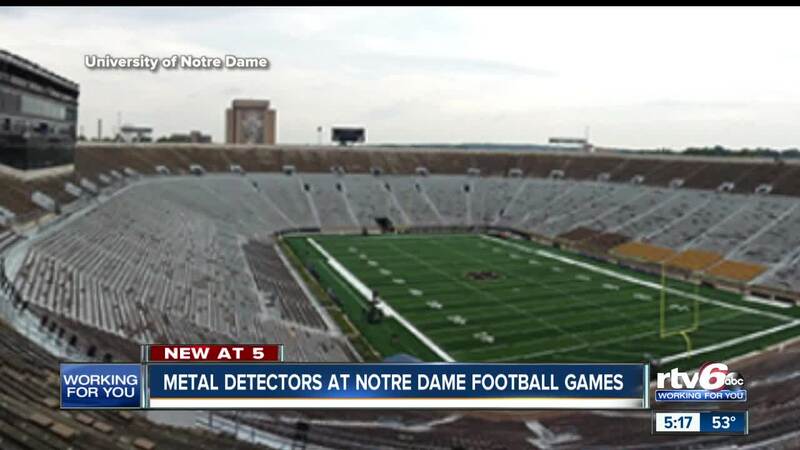 Metal detectors at Notre Dame football games. SOUTH BEND — Football fans can expect something new as they enter the football games on Notre Dame's campus in South Bend this upcoming season. According to a report by The South Bend Tribune, metal detectors will be used at all Notre Dame stadium gates starting with the 2019 football home opener. The report states that the policy will also stretch to basketball games in The Joyce Center and Hockey games at Compton Family Ice Arena. It is a possibility that metal detectors will be at other campus events as well.